Prime rib dinner and loads of fun! Followed by a live auction, silent auction and LIVE music! Out of town folks can stay at the Deerfoot Casino at Special rates which includes free shuttle service to and from golf course! MPI is currently recruiting for a specialized coatings industry role based in BC. Check out the position here. 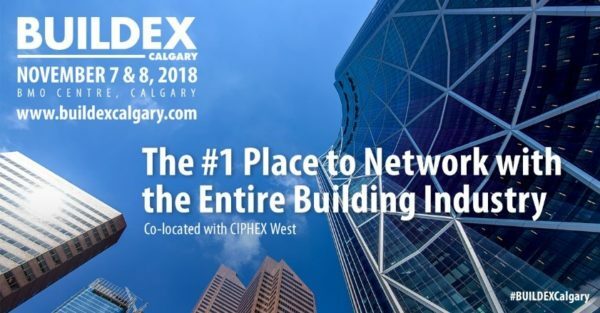 Transforming business to business interaction: BUILDEX is Western Canada’s event for the Construction, Architecture, Design and Real Estate industries. With engaging presentations on matters at the forefront of our industry, BUILDEX is a platform to hear from Change Agents and Thought Leaders on future challenges and opportunities. 2018 won’t disappoint – revamping the traditional conference and tradeshow this year’s event will be a highly relevant, high value, high energy experience! You won’t want to miss this — Registration opens September 5th. How a sprayer works, how to use it and how to care for it. Book your spot now by emailing your company name, and who would like to attend to marketing@apca.ca. If the content or images are not being displayed, click here. These products meet the requirements for MPI’s Extreme Green (X-Green™) paint standard: maximum 50 g/l VOC; trace or zero quantities of various undesirable chemical components; performance that meets the requirements for the MPI # indicated, and certification of VOC emissions requirements for indoor air quality. Click the name of the paint supplier to see a complete list of all their MPI-approved products. These paints and coatings have passed MPI testing for the MPI standard indicated and were added this month to our Approved Products List. Click the name of the paint supplier to see a complete list of all their MPI-approved products. 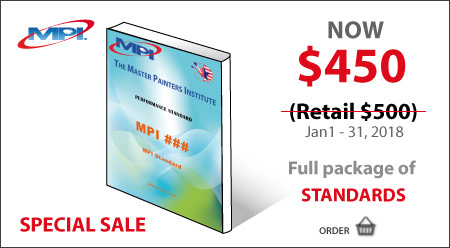 *January 2018 monthly promotion -MPI Product Standards – complete set was $500 now $450. For a limited time only. Download a pdf of MPI’s Jan 2018 Complete Approved Products List for just $10. The new Approved Products print booklet will be available in January 2018. 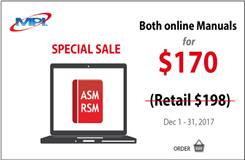 *December 2017 monthly promotion is up – Both MPI ASM + MPI RSM (1yr) was $198 now $170. For a limited time only. Download a pdf of MPI’s Dec 2017 Complete Approved Products List for just $10. You can get more information about this program by following this link. We have arranged for the GRACO sales rep to put on several classes for the APCA membership on paint sprayers, including airless, air assisted airless and HVLP systems. Seats are limited so we are reserving spots in advance. Classes are approximately 1.5 hours long each and will be held at Cloverdale Paint 4884 – 104 Avenue SE, Calgary, AB. The Inspection and Guarantee program offered by APCA to Specification Authorities and Owners provides a two year guarantee of the workmanship and materials employed by the Painting Contractor who follows the qualifications and standards set out in the MPI Architectural Painting Specification Manual. The APCA Guarantee Program was designed by the industry for the industry and provides a tool for APCA members to demonstrate quality and excellence of their work. The goal of the inspection service is to provide all parties concerned, i.e. architects, project managers, painting contractors, and general contractors, with detailed and accurate reports, documenting procedures and products utilized in the successful completion of any and all painting and decorating contracts. The service will monitor projects from start up to lock out, reporting abnormalities or variations from the specification to the Specifying Authority/Owner. All reports will be submitted at regular intervals, and a “Final Inspection” will be delivered prior to the APCA Guarantee being issued. The program also provides no-cost industry standard technical advice and assistance to the Consultant, the objective being to assist in obtaining a superior and consistent quality performance, project after project. Please notify us by phone, fax, or e-mail when you are specifying an APCA job in the future to aid our staff in facilitating the Certificate of Guarantee inspection process. We value your comments, and if you have any questions, please do not hesitate to contact the Certification Coordinator, Connie Pruden, at the APCA office. The service will monitor projects from start up to lock out. All reports will be submitted at regular intervals, and a “Final Inspection” will be delivered prior to the APCA Guarantee being issued. First, complete the APCA Request for Inspector (2017 Form). Then provide the Product Submittal Form and use the checklist for your own records and information. The intent of this checklist is to guide you through the Certification process. You will notice the non-member fee on the Request for Inspector Form. This indicates a higher payment and it must be noted that you will not receive an APCA Guarantee as a non-member, only the qualified inspections. Therefore, if you are the contractor who won the APCA job then you will need to process membership with APCA prior to starting the job. Please notify us by phone, fax, or e-mail when you are bidding an APCA job in the future to aid our staff in facilitating the Certificate of Guarantee inspection process. We value your comments, and if you have any questions, please do not hesitate to contact the Certification Coordinator, Connie Pruden, at the APCA office. Professionally Created by Associations Plus Inc.